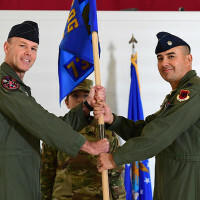 The 732nd Operations Support Squadron activated during an assumption of command ceremony at Creech Air Force Base, Nev., Jan. 23, 2019. 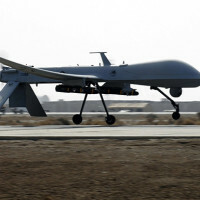 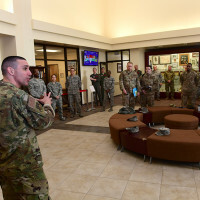 The new unit, dubbed the “Archers,” will provide the support required for the MQ-9 Reaper attack squadrons within the 732nd Operations Group to seamlessly execute their persistent attack and reconnaissance missions. 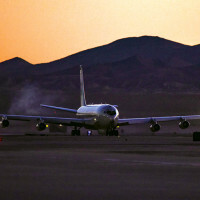 Circling the desert southwest, an E-8C Joint STARS (JSTARS) aircraft provides all-weather radar to track potential threats for Green Flag ground forces Jan. 24 at the U.S. Army National Training Center on Fort Irwin, Calif.
Air Force Chief of Staff Gen. David L. Goldfein visited Creech and met with 432nd Wing/432nd Air Expeditionary Wing Airmen at Creech Air Force Base, Nev., Jan. 15, 2019. 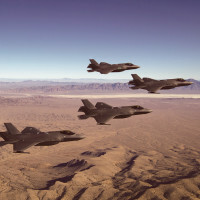 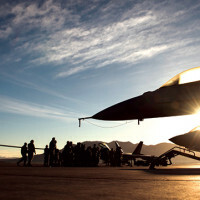 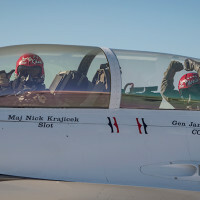 The commander of Air Combat Command spoke about the future of Nellis Air Force Base, Nev., and the Nevada Test and Training Range while hosting the Combat Air Force Weapons and Tactics Conference Jan. 7-18. 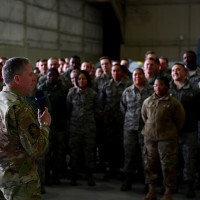 When Retired Army Master Sgt. 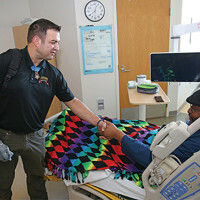 Leroy Petry first meets you, he gives you a warm smile and a firm handshake.